Since the 1930s these baby boxes have been helping and encouraging new moms. Neat idea, isn't it? 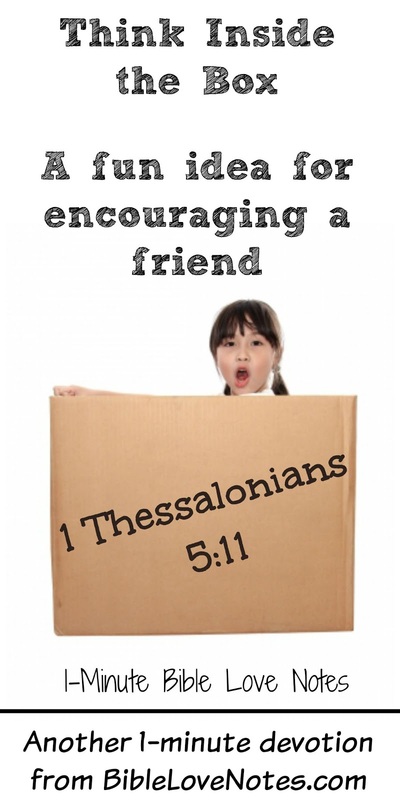 Whose spirit isn't encouraged by a gift box in the mail, whether you have a need or not. Years ago my friend (who loved stuffed bears) had 6 weeks of post-cancer radiation treatments scheduled. Though we lived far apart, I sent her a huge box containing 6 wrapped bears to be opened at the beginning of each week of treatment. Is there someone in your life who needs a gift box or card: a lonely senior, a struggling young family, an aging parent, a new empty-nester, a handicapped child, an out-of-work friend? 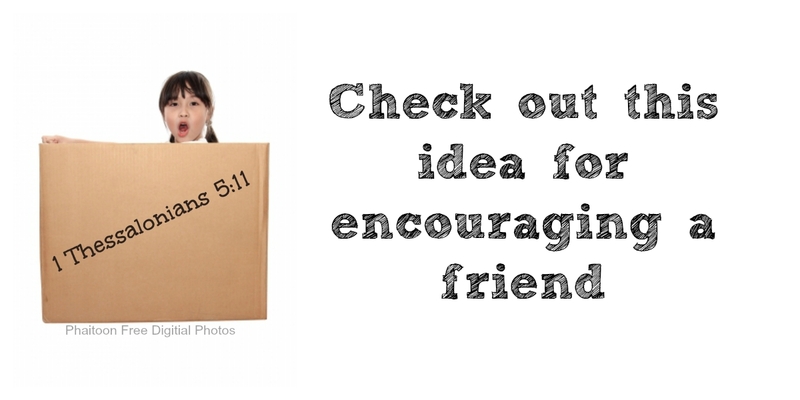 Today think of a way to "encourage one another and build each other up." What a great idea. Your post reminded of a recent visit to a family who is taking cancer treatments. She gladly displayed a surprise gift box she had received recently. I think it's the child in us that loves surprise packages, don't you? I pray your friend's treatments completely heal her of the cancer. Hi Gail, I recently sent our family doctor a thank you note, when I felt he went "above and beyond the call of duty." The next time I saw him, he remarked that thank you notes really "keep him going," and thanked me for it--twice. It was so simple for me, and really blessed him. Thanks for your encouragement to encourage! What a great idea...and something I've never thought to do. Thanks for the idea! Thankful for the reminder - so important! Hope this post will end up blessing many. Great post, Gail! I believe encouragement is so important. I love it great idea for workmates. What an interesting post, Gail. You come up with some interesting stories to bring your point to your readers. Now, you have put an idea in my head to give care boxes to some people.